In 2009 Valerio Sommella established his own design studio in Milan and since then he had the opportunity of collaborating with some of the well known brands such as Fabbian, Honda, Konica Minolta and Ypsilon among others. Sommella designs products for different fields, from furniture to consumer electronic goods and lightning for both Italian and international clients. 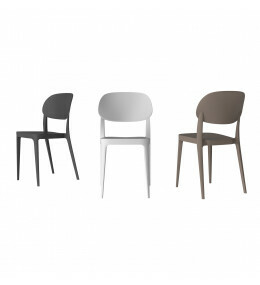 Amy Chair is stackable and can be easily adapted to any indoor or outdoor dining or breakout spaces.